Stephanie Lynne Thorburn (M.A.) is an author, researcher and Reiki Master. She writes features primarily focused on music and nascent areas of social science, including Sociology, Environmental Sociology and Parapsychology. She holds an MA in Sociology: Qualitative Research from Goldsmiths College, London, UK and a combined honours degree in Sociology/ Psychology from City University, London. 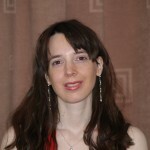 In 2010, Stephanie completed a Holistic Health Practitioner Certification with Reiki Rays Institute. Stephanie Lynne has undertaken a range of vocational diplomas via portfolio comprising postgraduate research papers on Consciousness Studies, Transformative Social Studies and Graphic Arts (UKCHT); all with Distinction. She also has a Dip. in Parapsychology, w/ Distinction. Stephanie is a fellow of the Institute for Meridian Psychotherapy and Associated Complementary Therapies and is on the founding Board of Editors of the Journal of Space Philosophy. In 2012 she became an advisor/ consultant to the Journal of Anomalous Sciences. Stephanie has freelanced extensively for press, especially Los Angeles Chronicle and PR-Inside.com; more latterly, OpEdNews, 2014. She assisted on the Space Renaissance Initiative Board of Directors in 2010 and has offered freelance contributors to International Space Fellowship since 2011. Over time, Stephanie Lynne Thorburn has authored a series of digital eBooks, achieving two best-sellers in music and creative arts. Ongoing academic works include her Kindle publications, ‘The Astrosociological Imagination’, ‘Progressive Etudes on Human Progress: Nanotechnology & Space Sciences’, ‘Progressive Etudes on Natural Healing: A Holistic Journal from Student to Teacher’ and ‘Consciousness, Human Enigma & Parapsychology’; this text encompasses assessment of exopolitical discourse within the media. See: ‘Exopolitics & Abstract Truths’. Stephanie Lynne edits her own webzine “Nuance”. Currently, she is resuming her postgraduate studies in Education and is a member of the Council for Education in the Commonwealth. She is a member of the Advisory Board of the Exopolitics Institute.